Polycarbonate disk / n used in the originals. Polycarbonate is very heat resistant. The disk / n are completely finished and punched so ready for installation. Our disk / n are replace the originals disk / n.
We recommend to let do that in a specialist workshop. Our disk / n are absolutely opaque, it does not light up the whole disk / n.
Only the numbers and scale will be screened. The symbols are only really visible when the light is switched on. 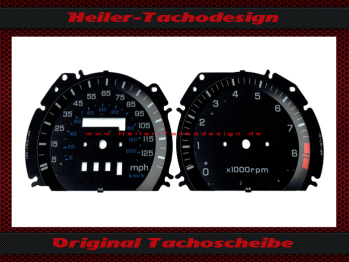 As with the original disk / n.
This disc / n was rescaled from an original mph disc / s to km / h.
This guarantees an accurate indication of the speedometer in Km / h.
This we take as a template. Only then is guaranteed fit. you will get no installation instructions! is an original logo or company name of the respective company and subject to copyright. That it is not incorporated in the disk and are not part of this offer. With us no proprietary brands and logos are used. All designs, images, descriptions, instructions, etc. are subject to copyright and may not be used without my personal approval. Any violation of copyright will be displayed immediately without warning. 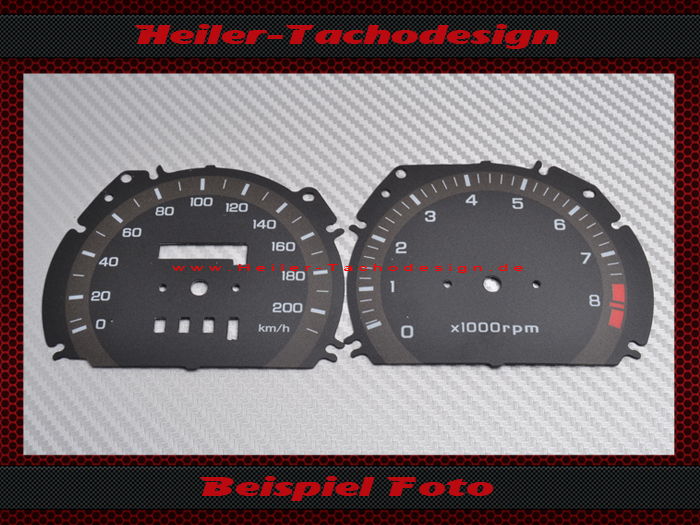 If your original speedometer disc is not shown, we need the templates. We need all original discs (speedometer temp tank, etc.) as a template. !!!!!!! Danger !!!!!! 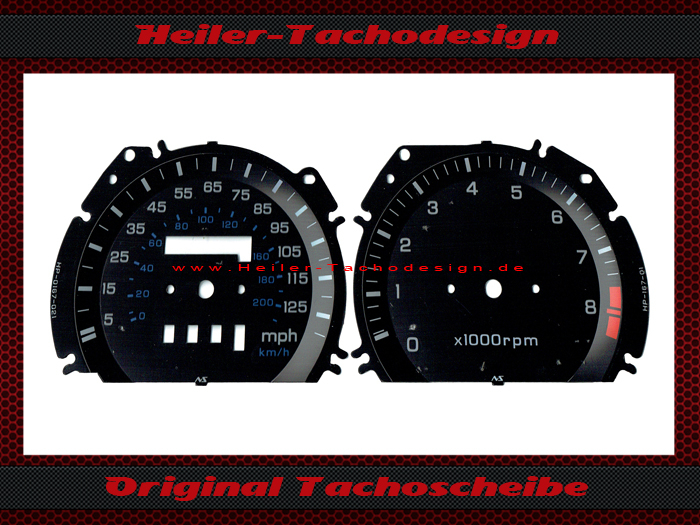 Only the discs do not send the whole speedometer !!!!!!!!!!!! If it is MPH speedometer, we will rescale them to Kmh and you will get the new discs in Kmh. The easiest way is to send us the slices by mail. Or you can scan the original discs and send them to us by e-mail. then scan the disc once from the left and once from the right. We build the disk on the computer, together again. Please scan everything at 300 DPI and then save as JEPG (Save as PSD with Photoshop). In the settings do not change anything (i_view32). That's necessary so we get the original size. For other programs, the size is displayed incorrectly.